You may be sitting at your desk reading this, but in Spain right now, they're going loco for the toros. 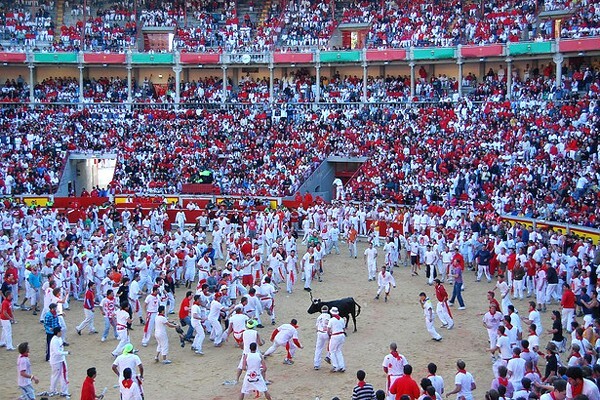 PAMPLONA, Spain – It's the time again: The annual San Fermin festival, which runs from July 6-14 in Pamplona, Spain. It's a celebration of food and music and dance, with processions and fireworks. But they're not trying to fool anyone: The main event is the Running of the Bulls. 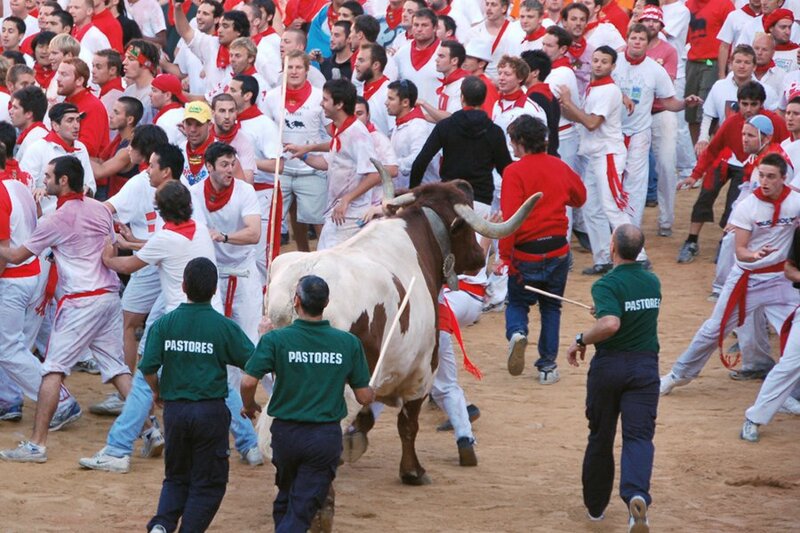 And this year, as every year, swarms of Spaniards — and even more alcohol-fueled tourists — show up to try to outsmart and outrun the bulls on a race through the streets. Every day. It's a madhouse. Here's what you're missing. 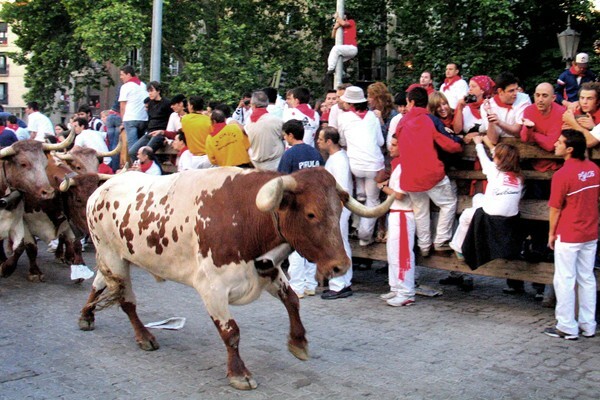 Sanfermin.com: The official website of the San Fermin Festival outlines acceptable behavior (mooning is encouraged), provides up-to-date injury counts, and explains why all the revelers are wearing red scarves. Gramfeed filters the most recent Festival photos from Instagram. Have a browse for cute outfits, matadors, beer, bulls, and canoodling lovebirds. The hashtags you want are #pamplona and #sanfermin. Makeda is studying communication and a few other things at Florida Gulf Coast University and is interning at Fathom for the summer. She travels for the eavesdropping.